Can Music Make You Smarter/Healthier? The way music impacts individuals has been debated for years. Some people believe that music has the ability to change a person’s mood or performance while others would say music is an ineffective variable. With the help from research done by Glenn E. Schellenberg we may be one step closer to saying that music does affect people… and in a positive way! Schellenbergs performed 2 research experiments in which he introduced music to undergraduate students and 5-year-olds. When undergrads were exposed to an upbeat tempo of music composed by Mozart they performed better on their IQ tests. This helps support the idea of a “Mozart effect”. Mozart effect is normatively known as the improvement of an individual’s performance on certain mental tasks (special-temporal reasoning) after listening to Mozart’s music. In the second experiment a group of 5-year-olds was exposed to familiar children’s songs which they could sing along with, they were also exposed to Mozart compositions. After the children were subjected to music they were given the task of creating drawings. The children’s drawings were afterward judged and it was found that their pictures were more creative and technically adept than drawings created without initial music exposure. These findings not only advocated that the Mozart effect is real but that exposure to different styles of music can enhance cognitive performance in a variety of areas. 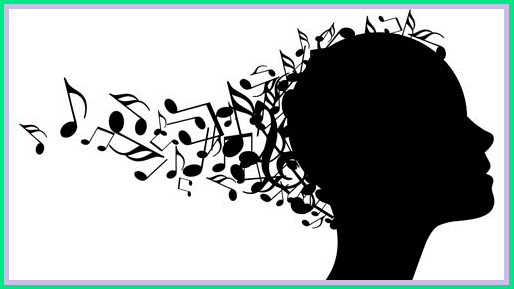 It is suggested that music’s ability to enhance cognition is due to its intrinsic ability to alter emotional states and moods. Crank your radios and let the music fly, you will be doing everyone a favor. The information in this entry was interpreted from the following research. Does exposure to music have beneficial side effects? Peretz, Isabelle (Ed); Zatorre, Robert (Ed), (2003). The cognitive neuroscience of music. , (pp. 430-448). New York, NY, US: Oxford University Press, xiii, 452 pp.